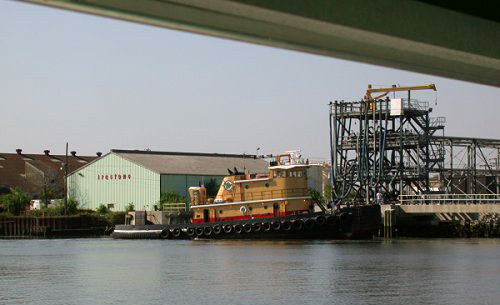 Colonial Oil is a privately held company, whose headquarters are located in the port. They hold over 100 acres of river front. The company provides storage and distribution for liquid and dry bulk products, including bulk chemicals, fuels, and oil. It also provides ship bunkering, commercial shipping, and tug and barge services. They have three terminals in the port, designated as Colonial Oil 1, 2, and 3. Colonial Chemical Solutions Inc. – line of products and services for the food, chemical process and basic chemical industries, with operations in Savannah, offices in Augusta, Valdosta, and Charleston. Colonial Marine Industries Inc. – ship management, chartering, brokerage, and port agency for anyone with a vessel to manage or a cargo to move, anywhere in the world.